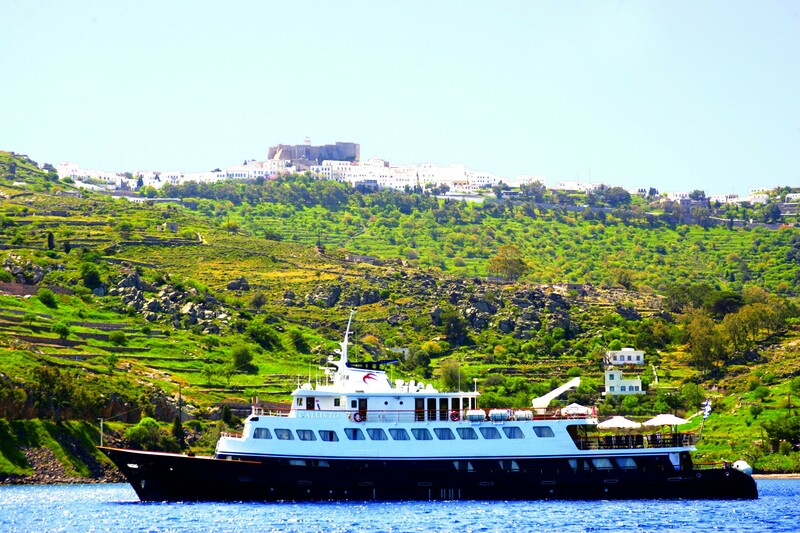 The stunning superyacht CALLISTO (ex MARINA, ILLIRIA II) was custom built in 1963 by Kremer & Sohn before being managed by Piraeus. 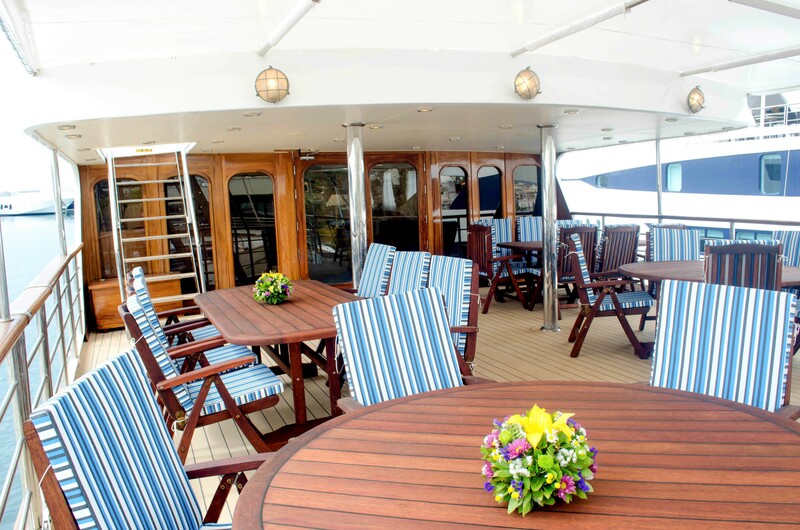 She was last refitted in 2015 and can sleep up to 34 guests in 17 spacious cabins. 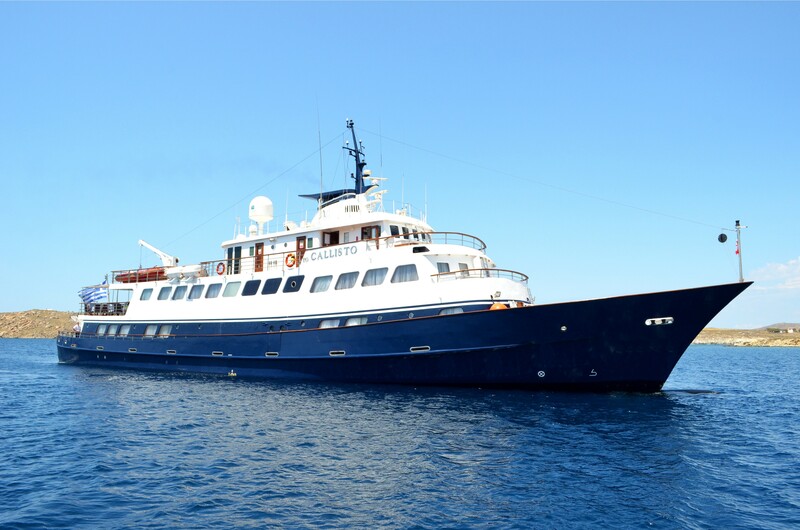 This beautiful, sleek vessel is 163.98ft/49.98m in length and has a dedicated crew of 18. 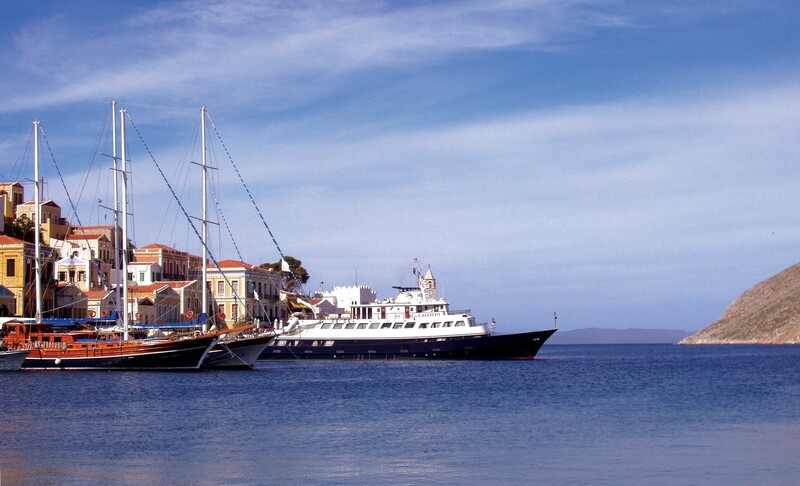 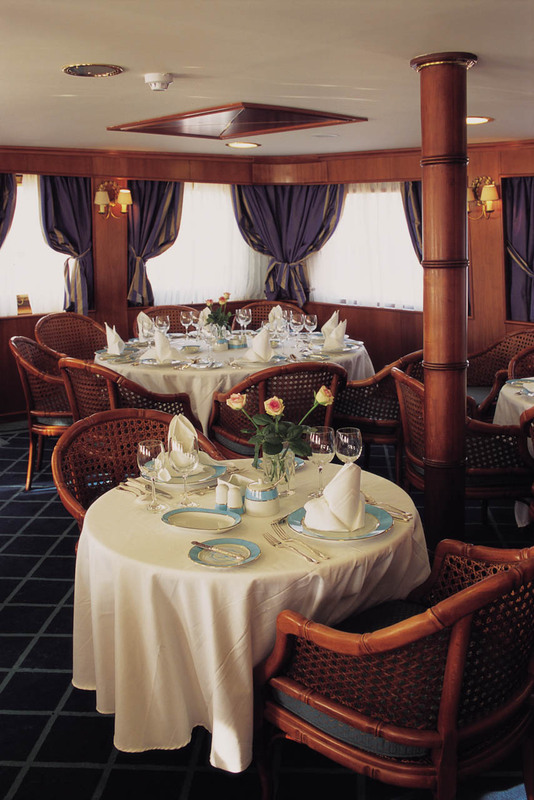 CALLISTO is an elegant and classic boutique cruiser. 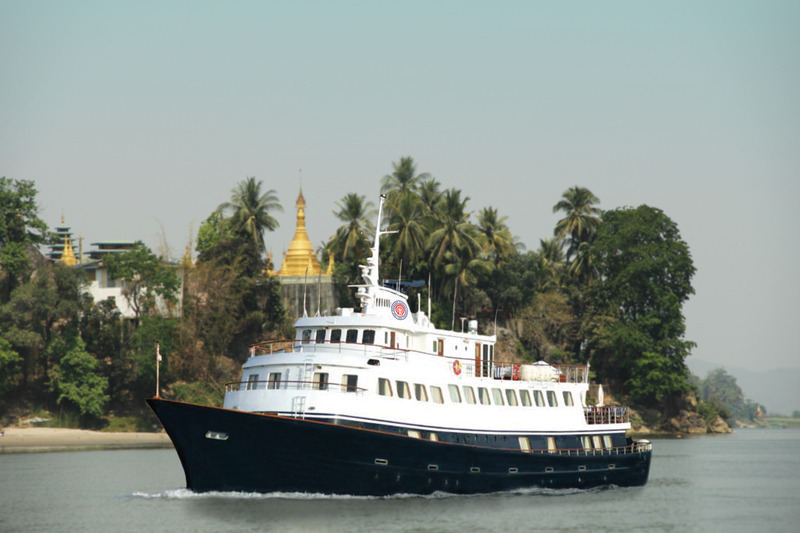 She has benefitted from a full refit in 2000, 2005 as well as 2015/2016 to offer the highest standards of safety and comfort. 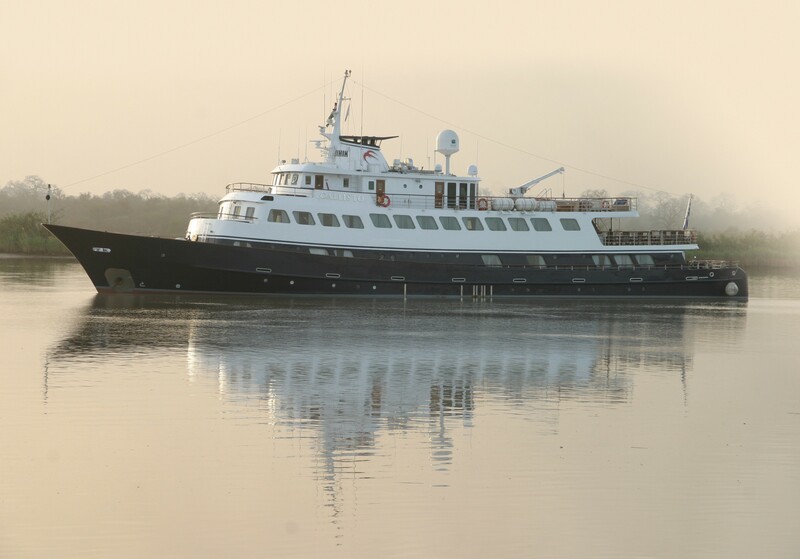 Her rebuild includes all new decking, new state of the art stabilizers, new generators, bridge renewal and further structural improvements. 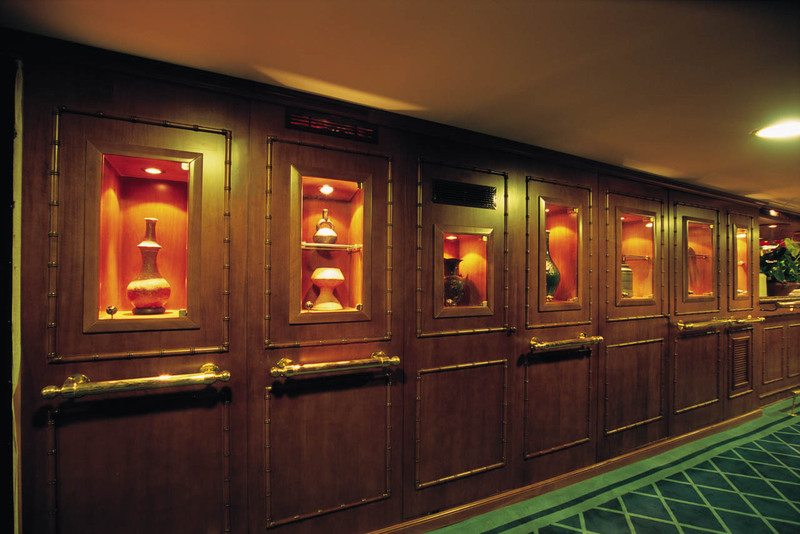 Her interior areas are cosy and spacious, decorated with rich fabrics, fine woodworks and gleaming brass as well as antiques and works of art. 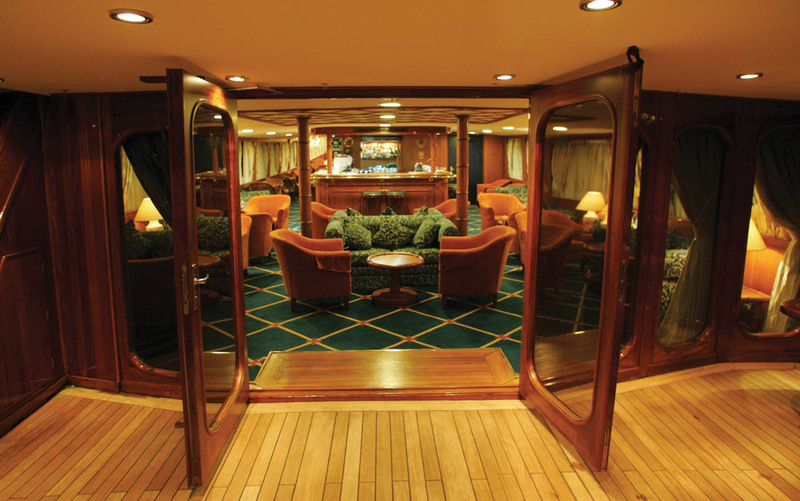 Her reasonably classic interior design was the work of Raimondo Dato. 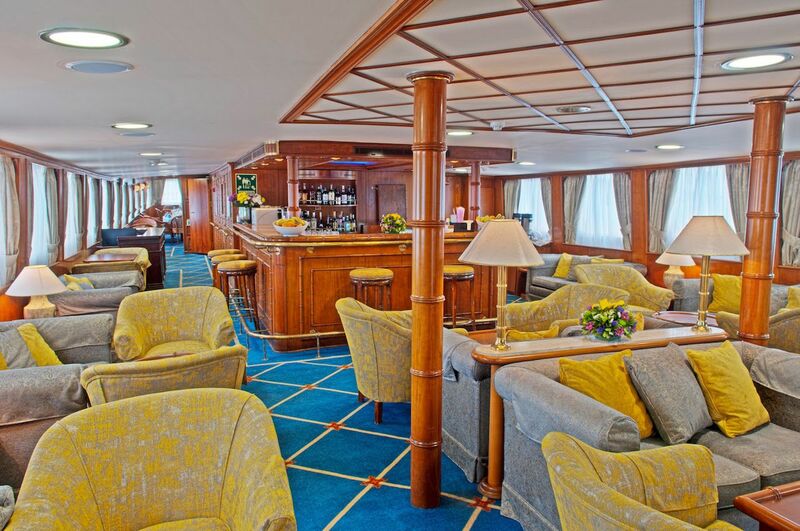 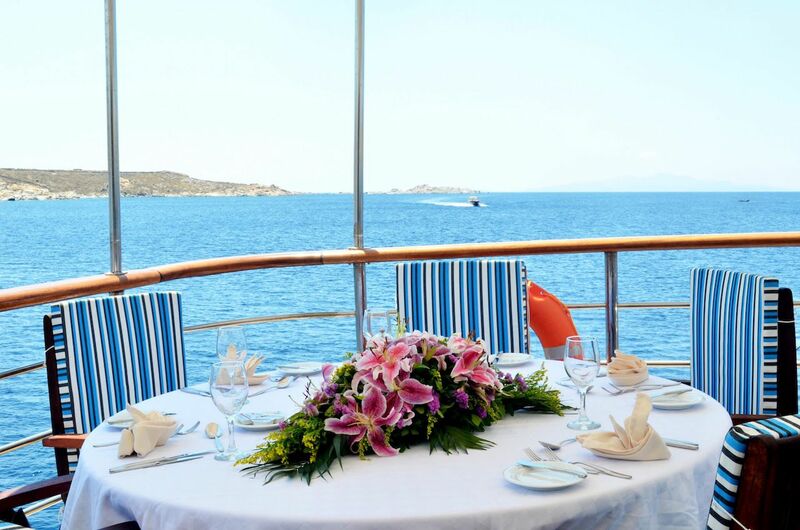 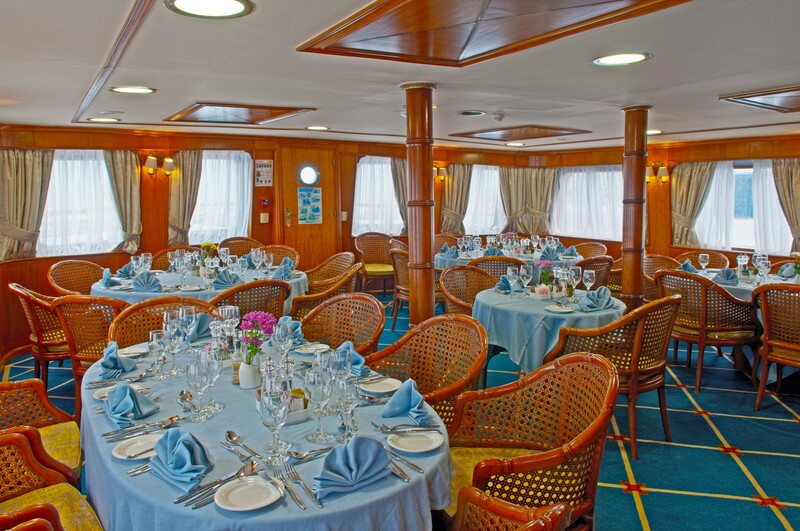 Her magnificent upper deck includes an indoor and outdoor lounge/bar as well as dining areas that are large enough to accommodate all guests in one single seating. 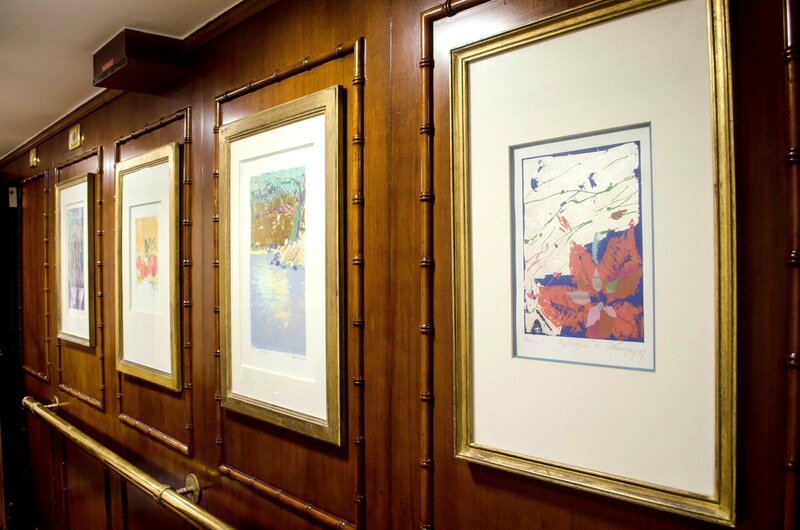 These areas are connected by an art gallery that displays an exquisite collection that only adds to the already elegant and stylish feel on board. 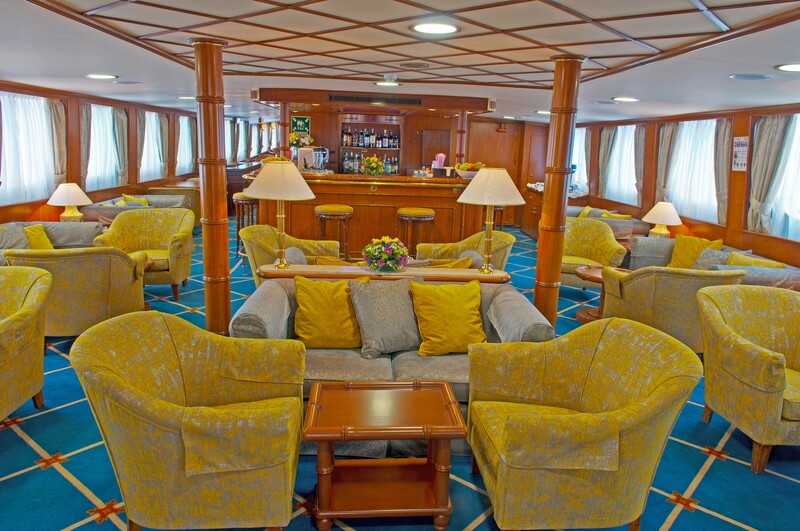 The lounge is spacious and relaxing, as well as very bright during the day, with large picture windows, perfect to enjoy the stars at night. 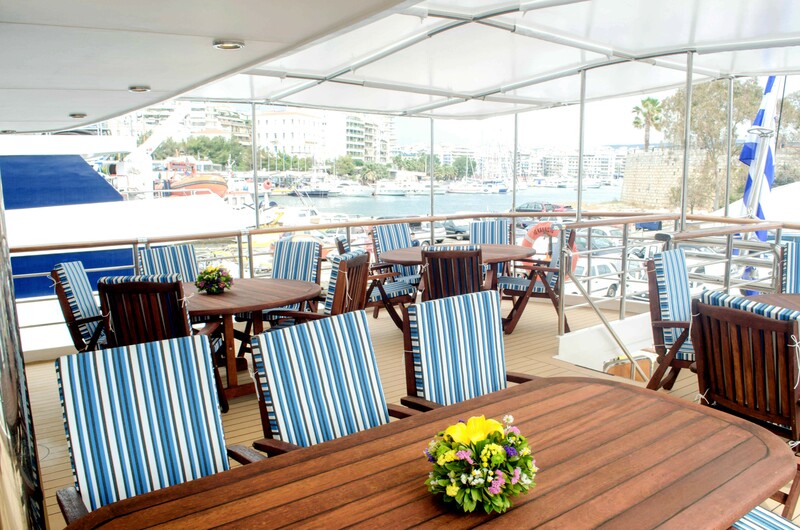 It opens out onto a lovely outdoor sitting area. 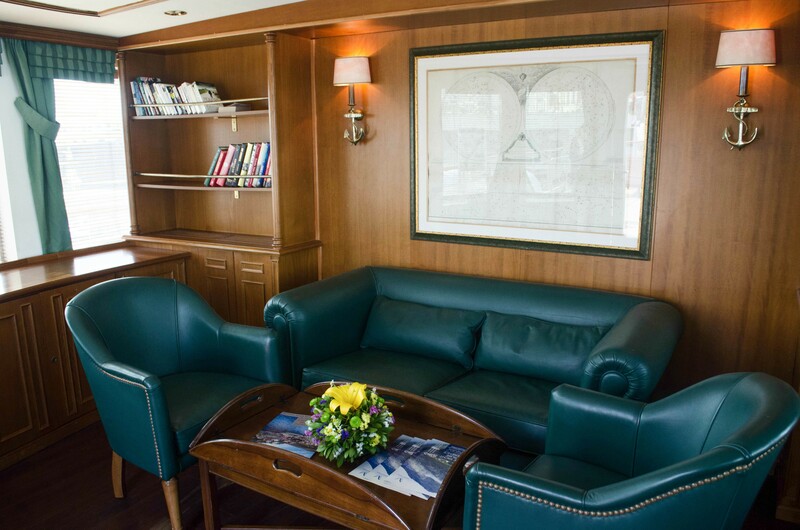 A library is located on the sun deck. 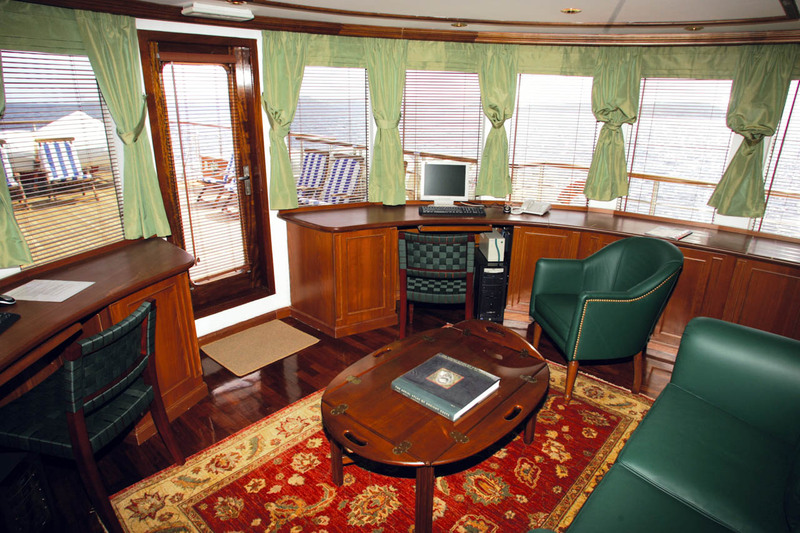 It is perfect to enjoy a good book and is also very bright with wraparound windows that allow for plenty of light. 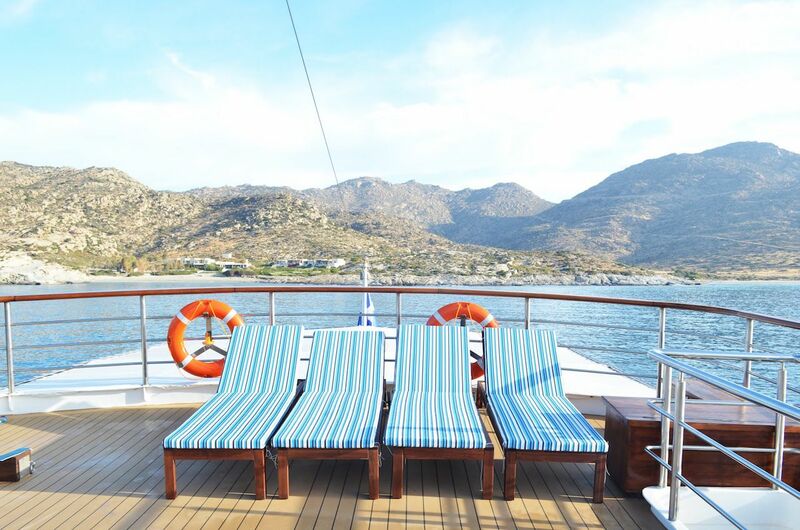 This broad sun deck is perfect for sunbathing too, with sun loungers, chairs and parasols, thus enabling guests to totally unwind while enjoying the passing scenery. 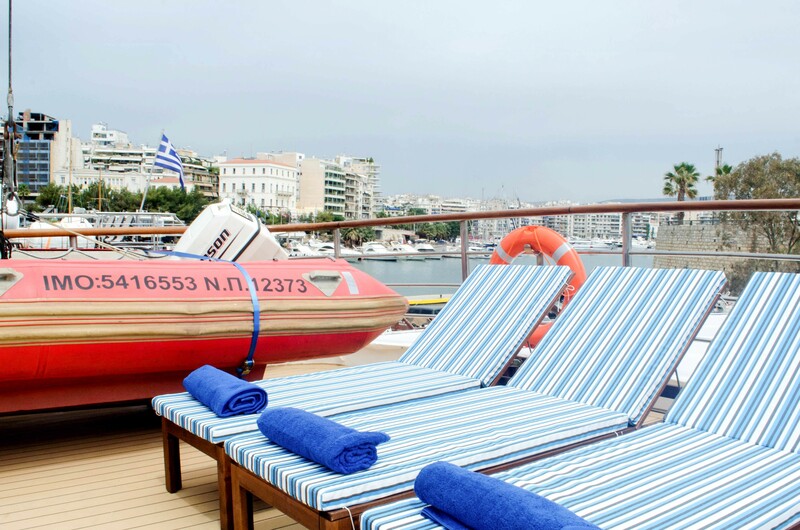 CALLISTO boasts a lovely swim platform that give guests easy access to the sea so that they can swim off the ship to enjoy the water toys when at anchor, weather permitting. 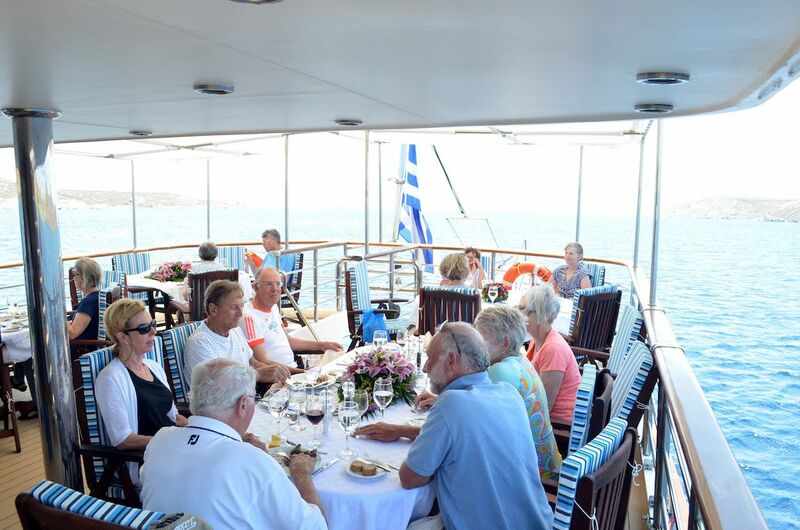 The yacht has extremely impressive entertainment facilities making her perfect for guests to socialise with family and friends. 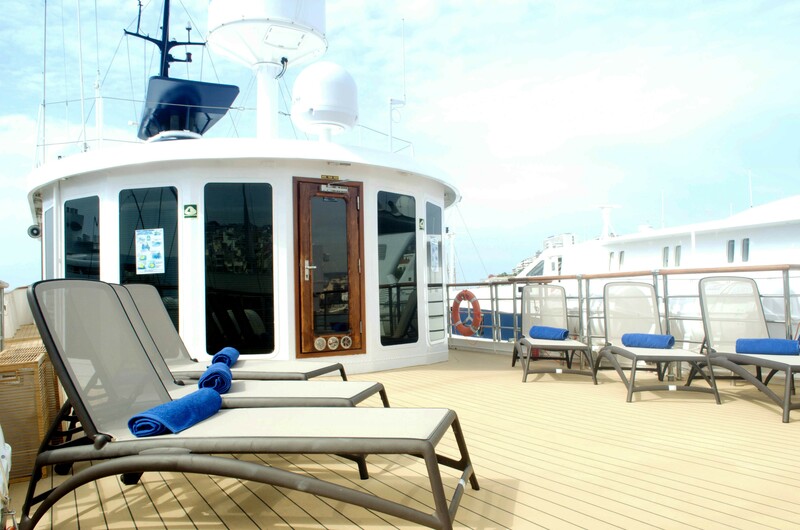 There is plenty of deck space to relax under the hot sun or just watch the world go by. 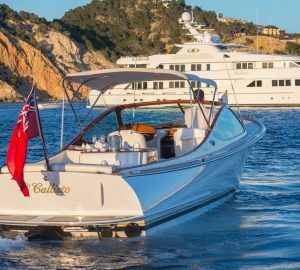 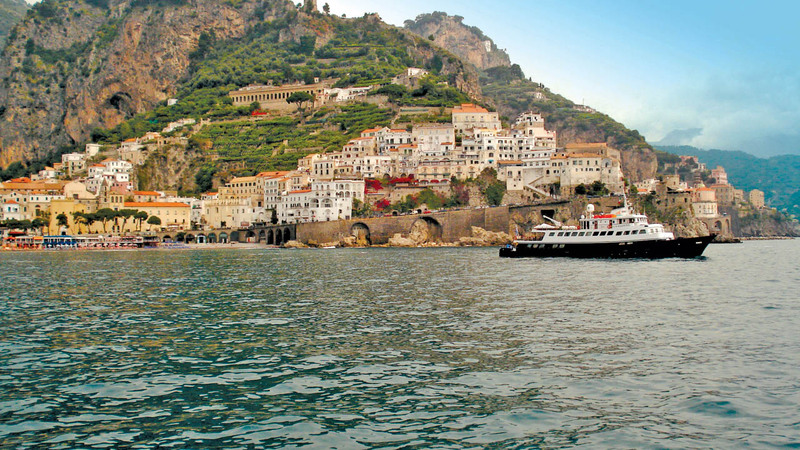 CALLISTO has performed several Atlantic crossings and has cruised across the most interesting coasts of Europe as well as North and West Africa too. 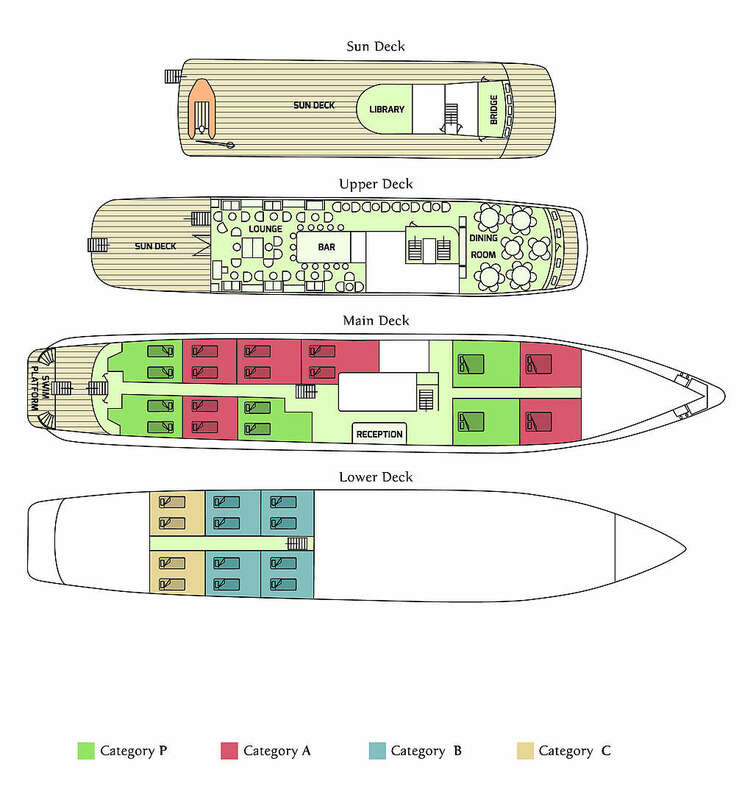 With her steel hull and 2 x MWM (TRH 435) 840hp engines, she has a cruising speed of 10 knots. 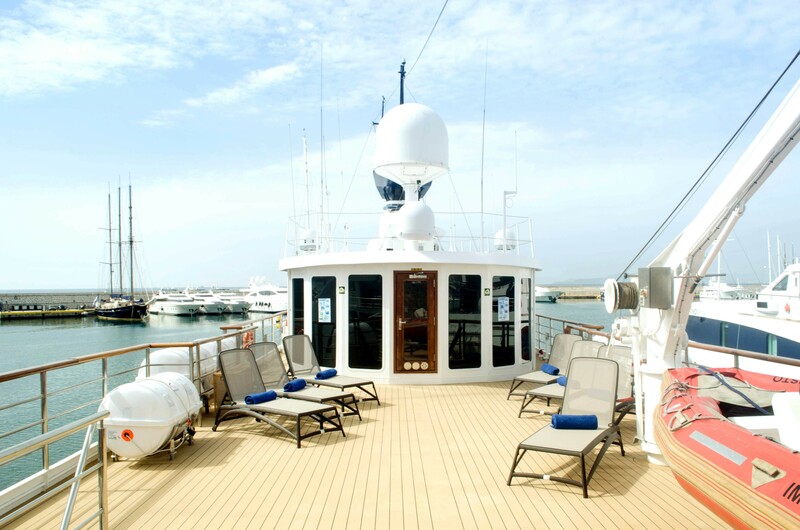 The accommodation on board this amazing superyacht is out of this world. 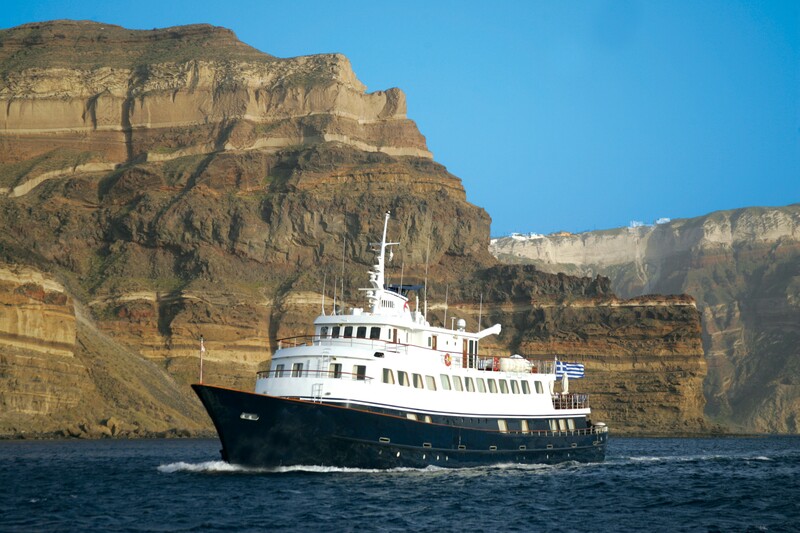 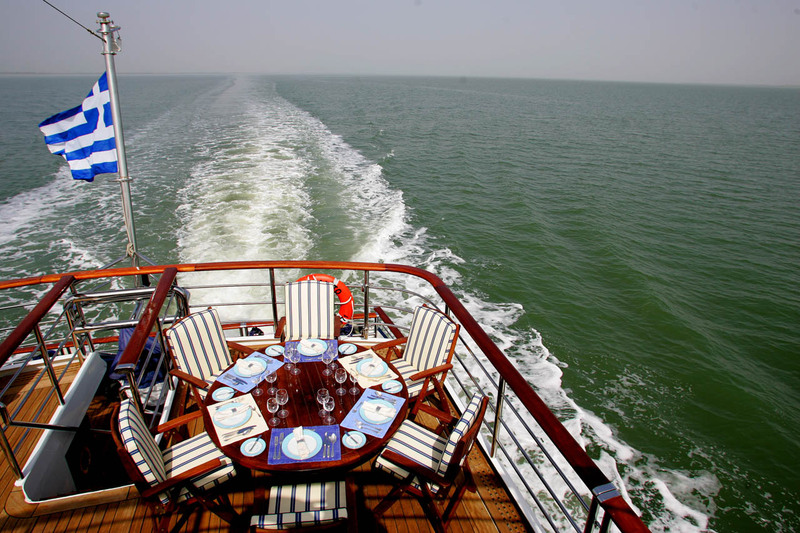 She has 17 cabins for a total of 34 guests. 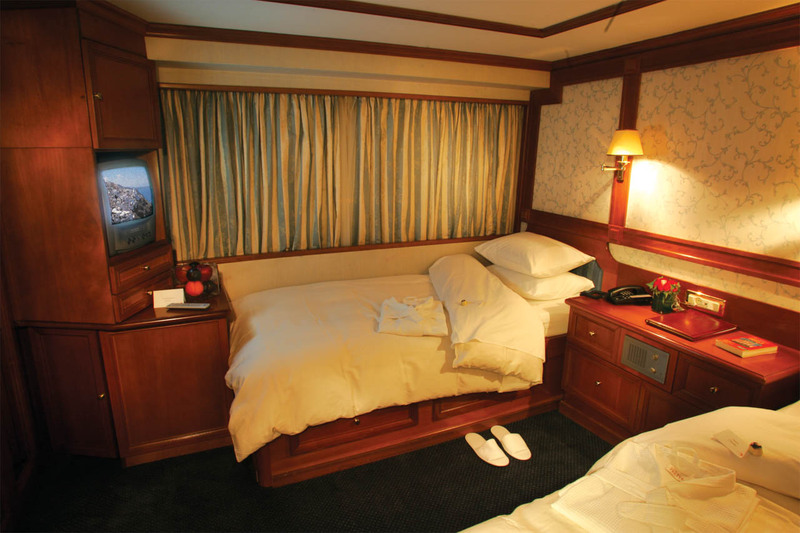 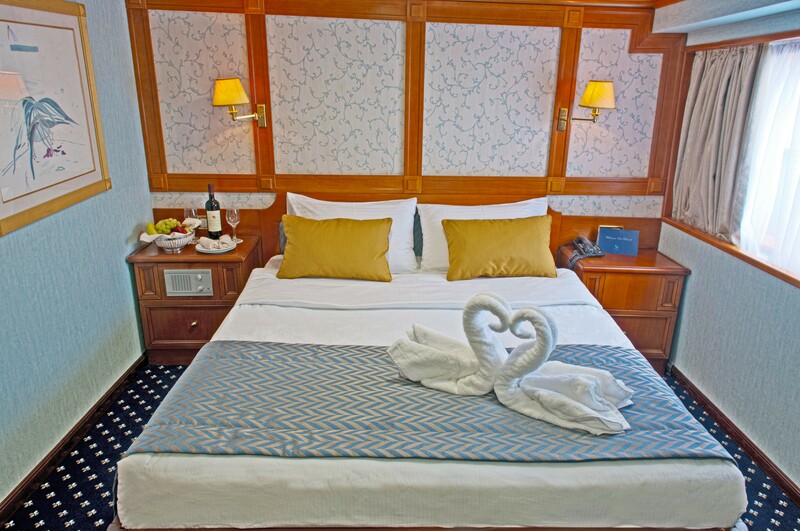 4 doubles are located on the main deck with large windows, whilst 13 twins with portholes are found on the lower deck. 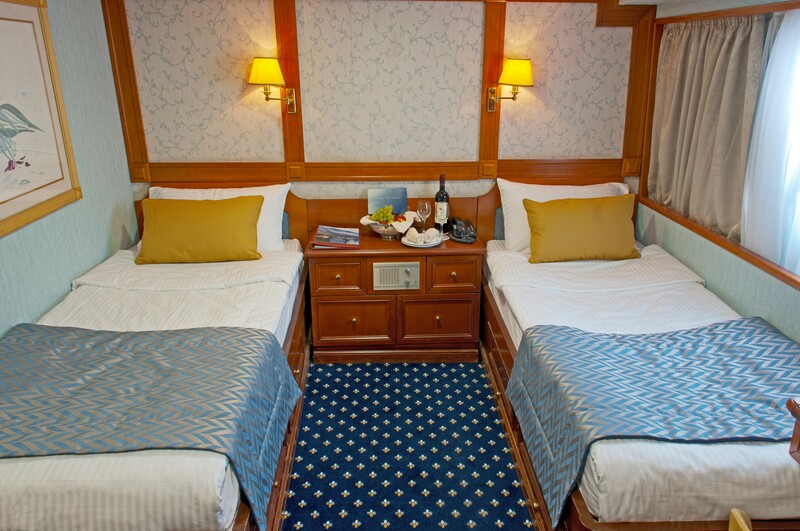 These each include pullman berths. 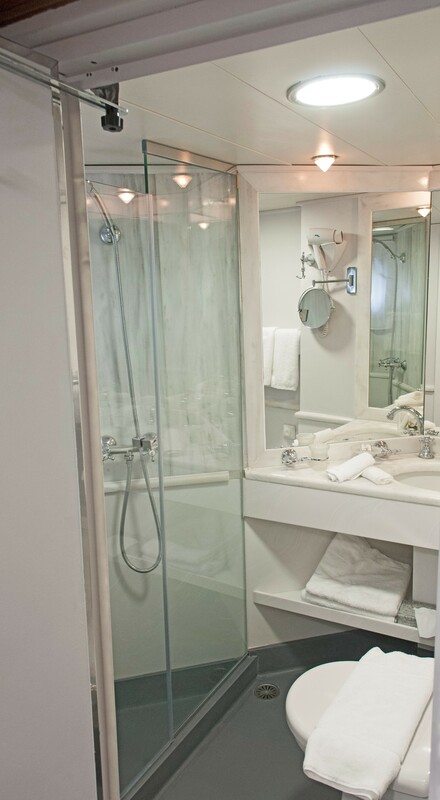 All the cabins boast a private marble bathroom with shower and heads as well as air conditioning. 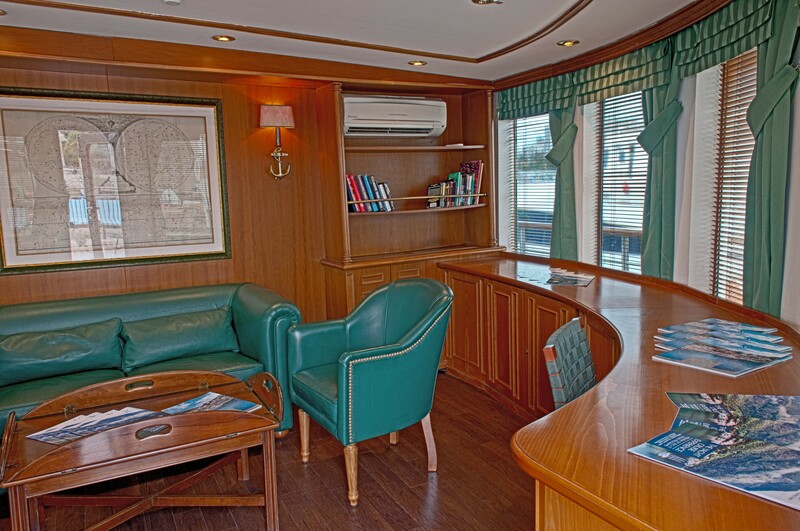 They have everything guests could expect from a vessel of this size, including TV, mini safe, mini fridge, hairdryer, adapters and individually controlled A/C. 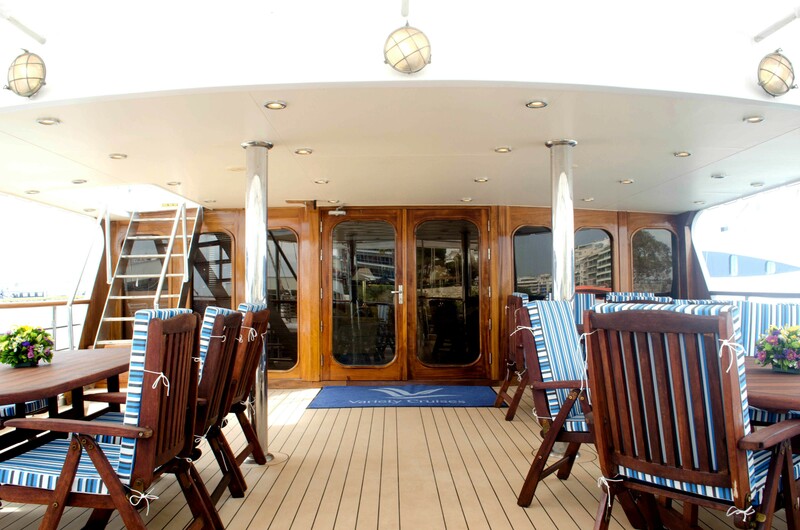 Extras on board the Callisto include a kayak and snorkelling equipment which can be used by guests who love to be in the water.